We’re approaching the climax of this year’s New Year Giveaway, UK ladies… you don’t wanna miss these last few days. Seriously. Don’t say I don’t know what you ladies want! Probably the hottest item of makeup to be released in 2010, Urban Decay’s Naked Palette offers beauty connoiseurs everything they need for a neutral eye in one, single portable palette and Urban Decay have generously donated one of these must-haves to me to give away to one of YOU! I’m not afraid to say it… I’m flippin’ jealous. Leave a comment to enter. Giveaway closes at 23:59GMT on 30th January. Wow that looks amazing. Enter me please! ENTER ME PLEEEEEAAASEE!!!! I was just looking at the swatches of this palette on Temptalia and Karlasugars blogs…they are gorgeous! So excited!!!! Ahhh, you’re so lovely – if THIS isn’t the climax, then what is!? Oh my days, I’ve been wanting this palette for ages. I wish I could enter…. This is awesome! I would love to have this so much! OH MY GOD! Enter me please!!! nah, i was lucky enough to snag one when they were first released at House of Fraser (and i LOVE IT) so i won’t enter myself for this. but i’ll go for most dedicated anyway! Ooh I’ve been dying to get one of these! Would love to be entered please. Love your blog! I no longer seem to buy a product without checking if you have reviewed it anymore haha! AH! I hope I get this one! enter me please. You really are spoiling us lady! I would DIE if I won this, been lusting after one! I’ve been searching for these for what seems like AGES! Enter me please! I really wanted this for Christmas but they’d sold out by the time my fiance went to go get one! Oh boy, please enter me! This palette is gorgeous but so hard to find. Enter me plz!! Not eligible, please enter me for “Most Dedicated”! Whoever wins this is going to be veeeery happy! OMG! ure seriously an angel! i love love love this palette! enter me for the beauty please! Wanted this since it was released! Love UD neutrals! Not eligible but those who are, are incredibly lucky! Not eligible – but happy I purchased this the other day! please enter me for the most dedicated prize…. Not eligible, but excited for “most dedicated”! OMG, yes! Enter me please. Got an email from UD that they will be manufacturing new ones without the pencils. Not eligible, but best of luck! Ahhh i’m so jealous of you UK ladies! I’m not eligible but I’m still goin for most dedicated. Not eligible! Good luck UK ladies! Yes I want it!! Enter me please!! not eligible. :c sadddd…. this is suh a lovely prize!!! Oooo, I’m way to cheap to buy this, but my love for UD eyeliners knows no bounds. I would love this! Enter me please. Oh – I remember this from last time round 😉 Please enter me! Thanks!! Enter me please, I’d LOVE this soo much!!!! OMG, how wonderful is!! uk ladies really hav chance. well, move on the most delicated!! This has been on my “Most Wanted” list since it first came out. First I couldn’t afford it then when I could afford it, I couldn’t find it! Please enter me! Please enter me!!! Good luck to all uk entrants for this! The wiNner will be one lucky person! OOOH! Enter me pretty please! This has been on my wish list for a while, but with no stores near to me to get it I tend to forget. YES PLEASE i am more than willing to win this thank you very much! beauuuutiful 😀 enter me please!!! oo0h please enter me – I’ve been wanting this for aaages!! Still not eligible… Maybe I’ll have better luck with the most dedicated! I’d like to enter please. This is gorgeous – why did I not buy one when I had the chance? Boo Hoo! Fab prize! Would love this one! oohh please please enter me for this!!! I fell in love with the Naked Palette long ago, but (being an impoverished student) couldn’t afford to buy it. Winning this giveaway would be the best thing to happen to me so far in 2011 (seriously, January has been nothing but exams so far), especially as my favourite brown eyeshadows have nearly run out and can’t be replaced! I would totally love this, so please enter me! stuff from UD is so gorgeous! You totally know what we want! This is the most covetable thing ever! Oh how absolutely flipping amazzzzzing! Love your blog and your prizes! Love this! Please enter me into the competition. I’ve been dying to get hold of one of these! Enter me please! I’ve been looking for it everywhere! How I wish to win this giveaway for once! Wow! Great gift! Enter me pretty please. WANT! Enter me please! Thank you. I’d love to hv this palette!!!!!! Amazing giveaway you are so nice!!! I can’t seem to find this palette anywhere anymore. Really gutted. Please enter me into the draw – love this palette! ah this is amazing!. I have been trying to get my hands on this for yonks! Oh my god Charlotte you are a genius! And a goddess too. You’ve totally read everyone’s minds here. I would really love this to death so enter me please, but since I would be loving it too much to use it … I hope someone else wins! Ha! That looks fabbydabby, please enter me! Noooo!! I’m not in UK….what a pity!!! Oh my! Neutral eyeshadow nirvana! Please enter me! These are gorgeous, please enter me. Thank you. Ooh could I enter please? Oh my goodness! You have just made me ‘hopeless journey after this palette’ not so hopeless again! Aww, does that mean you don’t have one either? If not, I hope they give you one too! Enter me on for this one please, I’ve been trying to track this down EVERYWHERE! Oh wow, enter me please!! Ahhh!! I’m absolutely desperate to win this!! I’ve been trying to get my hands on this for ages, my OH was going to get it for Christmas for me…but by the time he got his act together to go get it, they were all sold out! Stupid boyfriend…. I would be so excited to win this – have been lusting after this gorgeous palette since I first saw it here on lipglossiping! Please enter me for the draw – thanks! Yep i am completely seduced – like many others – by this, isn’t it gorgeous? Enter me too please! Thanks! Ooh I’ve been dying for one of these, please enter me! Yes I am jealous… Wow. Now I am really bummed that I don’t live in the UK :’-( Pretty sure this one is going to create one very, very happy winner! Good luck to y’all! I’ll tweet it all the same! I am desperately wanting this!! Wow this looks amazing…I have never tried UD before. Wow! please enter me, thanks! Oh, wow! Enter me please! Please count me in. Thanks so much! Please enter me I really want this! hey – wouldn’t that be something? I’ve already got this so good luck ladies! I WENT TO ALL SEPHORA STORES AND IT WAS SOLD OUT STATE WIDE! boo! 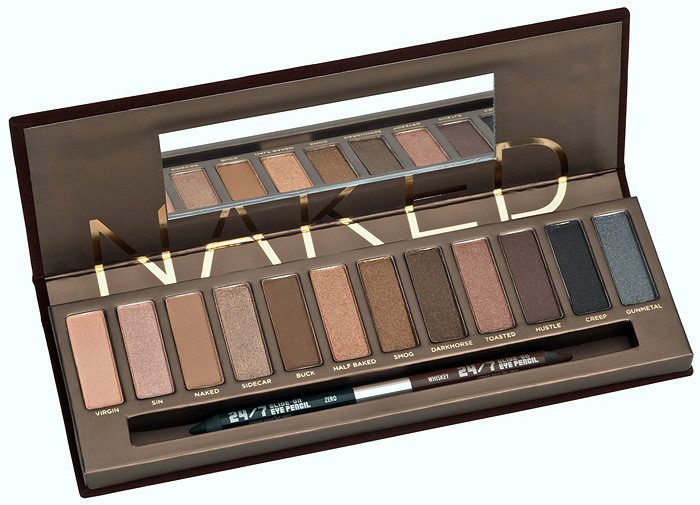 would love love love to be a proud owner of the naked palette! My girlfriend has been hounding me for MONTHS to help her get this! i’ve scoured the globe and STILL no dice! Enter me please! Please enter me! I’ve been trying to help my girlfriend get this for MONTHS. Scoured the globe but no dice!! i would absolutley love to win this!! I love this! Enter me please! oooh enter me pretty please!! please enter me, i would absolutely love to own this palette. Gosh, I love UD’s eyeshadows, amazing for those who are clumsy at blending 😛 And this palette is great for lazy bums when they need to get up quickly in the morning and put something on their face for work! Love urban decay, adore this palette, love your blog. urban decay is gorgeous! enter me please! I don’t understand how these are STILL so difficult to get hold of. What's in my bag? The boring edition.